After 15 months of wage negotiations, Denver teachers will resort to going on strike Monday in an effort to spark a new deal, according to CNN. 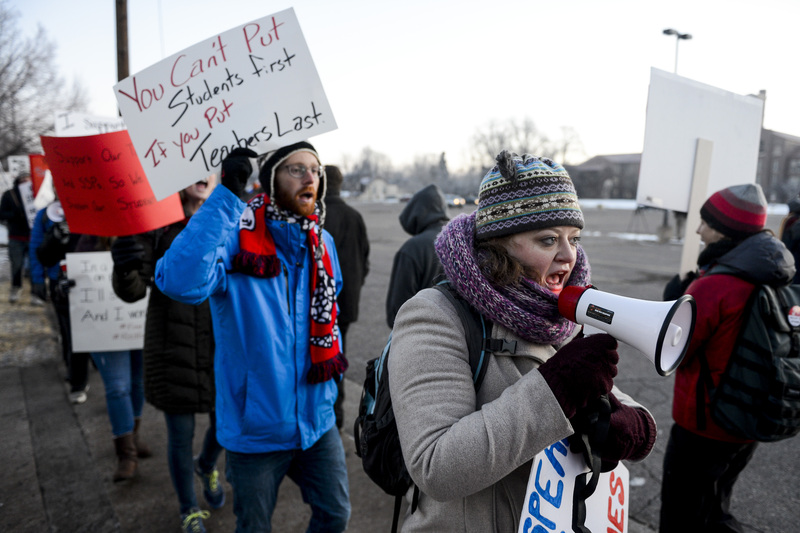 It is estimated that about 2,100 teachers will participate in the first Denver strike in 25 years, which will leave about 92,000 students over 160 public schools without their teachers indefinitely. Additionally, over 4,000 preschool students will not have school due to the lack of licensed staff, the Denver Post reports. The Denver teachers have been calling for an increase in base salaries as income from year to year is uncertain due to unpredictable bonuses. On the other side, Denver school public officials say that they offered what teachers are asking for. The Denver Public Schools offered the teachers $23 million in funds for teacher salaries, a $55 million investment over the next three years and an increase to new teacher starting salary at $45,800 on Saturday, according to CNN. “We are incredibly disappointed that on the last day of bargaining and less than two days before a strike, they doubled down on one-time incentives teachers do not want, and the data shows do not work to keep teachers in their schools,” said DCTA President Henry Roman.